BajaTRAVELER® spotlights the Best of Baja, bringing together beautiful people and beautiful places, highlighting the culture, colors and flavors of the region, along with contemporary trends and influential players; every issue focuses on high-profile events. The magazine targets—and reaches—leaders and professionals in a variety of fields, as well as affluent international readers. 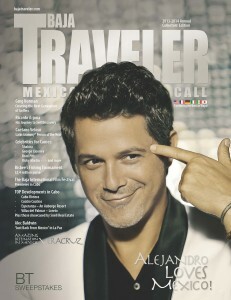 BajaTRAVELER® is an annual collectors’ edition; with over five million readers world-wide. Both BajaTRAVELER® and MexicoTRAVELER® are among the first publications to offer articles translated into six languages – English, Spanish, Italian, German, French, and Japanese – in line with their global distribution and readership.